I have seen so many delicious toast photos and I wanted to try making some for myself. Since I could not pick what kind of toast to make, I decided to create five (that’s right, five!) 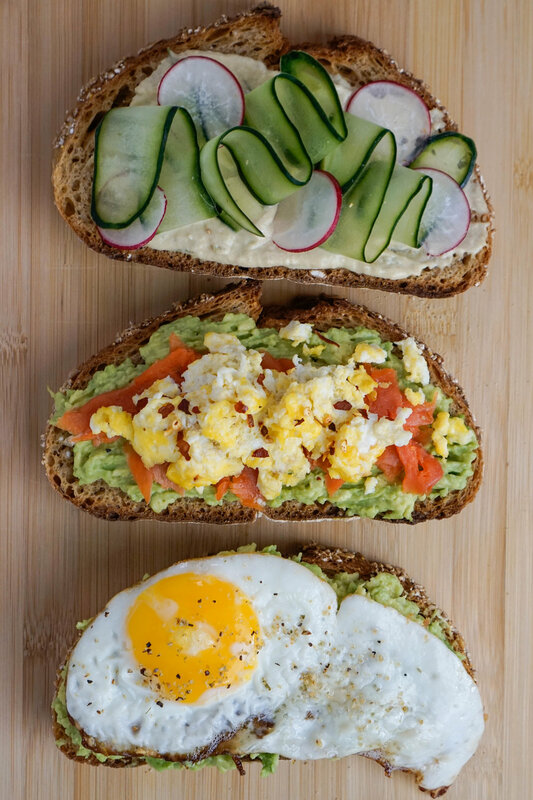 different kinds of toasts for this recipe post: three savory toasts and two sweet toasts. The main ingredients are from Milk and Eggs and I also won a gift card from @missmisschelle's giveaway on her Instagram page. Thanks Milk and Eggs and Michelle! In this post, I will not provide a prep time, serving size, detailed instructions. This is mainly to offer you inspiration on the different kinds of toasts you can create. The ingredients and preparation are very simple and I hope you find these ideas useful! For the savory toasts, toast the bread in a toaster oven. Rub a clove of garlic on each side of the toast to make the toast fragrant. Here is what I came up with for the savory toasts. 1. Mashed avocado, scrambled egg, smoked salmon, and pepper flakes. 2. Hummus, sliced cucumber, and sliced radish. 3. Mashed avocado, sunny-side up egg, and herb seasoning. For the sweet toasts, toasting the bread is completely optional. 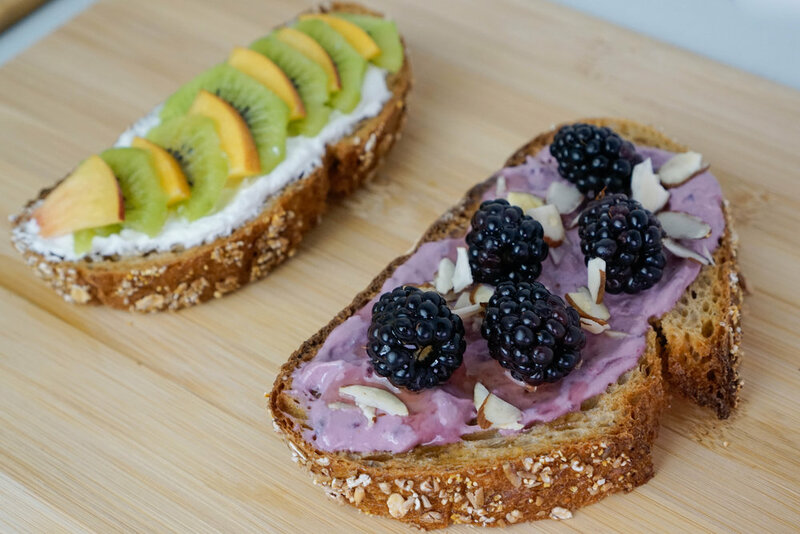 Here are two ideas for sweet toasts using greek yogurt. You can also use cream cheese as the base. 1. 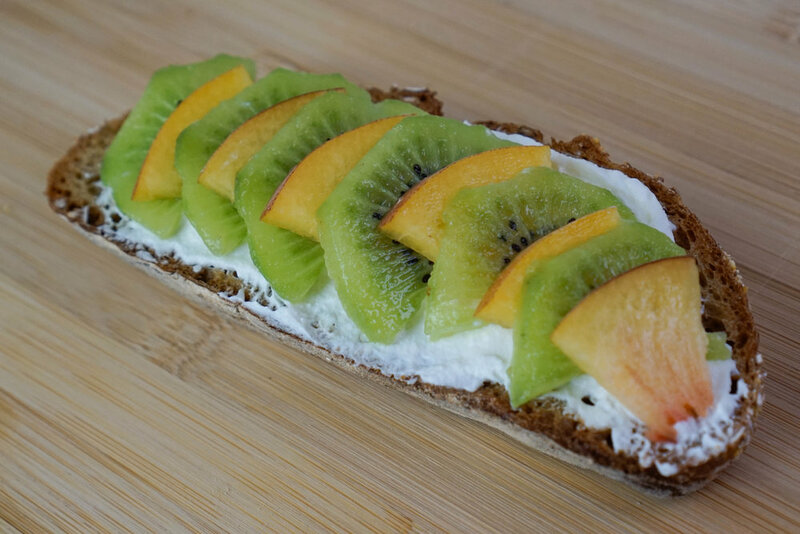 Greek yogurt, sliced nectarines, and sliced kiwi. 2. Blackberry Greek yogurt, blackberries, sliced almonds, and honey.